When hiring a carpet steam cleaner – you get what you pay for! Lately I have received a lot of calls from customers who have hired a budget carpet steam cleaner for their end of lease carpet cleaning. They call me because, the carpet steam cleaner they hired, did not do a very good job. I usually ask them, “why don’t you call the cleaner back and ask them to come back and do a better job?” The customer inevitably says something like, ” oh they were just someone I found on Gumtree and they were really cheap so I don’t think they will be able to fix this” or “I did call them but they said it was the best they could do and wouldn’t come back”. 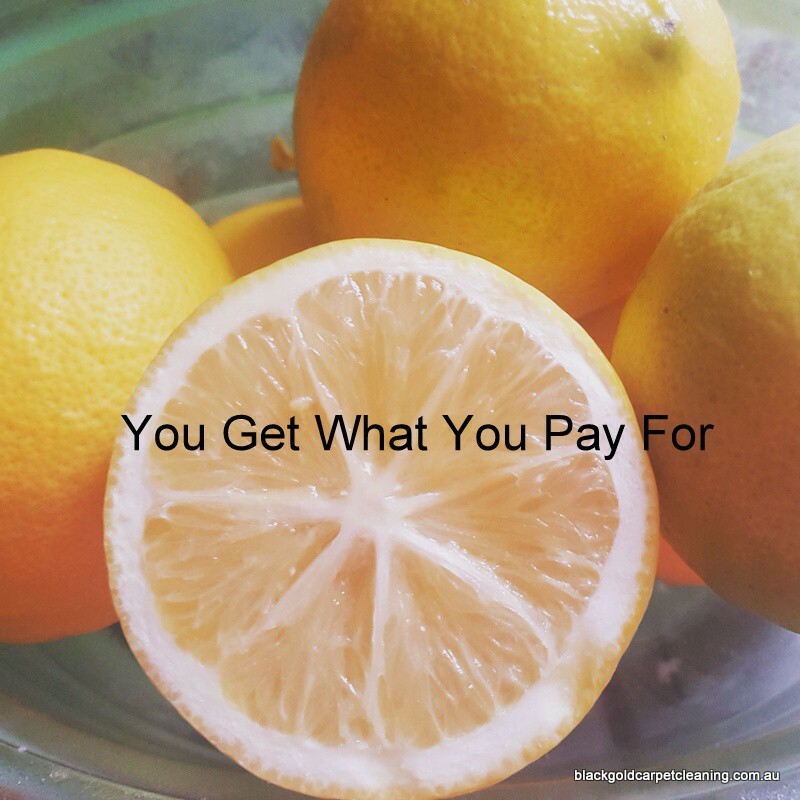 Let me make this very clear – you get what you pay for! Carpet cleaning and stain removal in particular is a science, you need training, experience and the right chemicals and equipment. Anyone can go out and buy themselves a carpet cleaning machine and call themselves a carpet steam cleaner. The Government does not regulate the carpet cleaning industry, unlike many other trades,. This does not mean, however that there is no training or certification available for carpet cleaners. 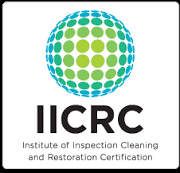 The IICRC (Institute of Inspection Cleaning and Restoration Certification) is the organisation that sets worldwide standards for businesses and individuals operating within the cleaning and restoration industry. To obtain certification, one must complete intensive training courses. Then sit and pass exams at the end of the training. They must also agree to abide by a code of ethics. As well as having current public liability insurance and continuing to update their skills and training on a regular basis. Each of the standards set by the IICRC take years to develop. These standards are reviewed every 5 years to ensure they stay up to date with scientific and manufacturing developments. Jena Dyco International is Australasia’s premier training facility for the cleaning and restoration industry. They provide IICRC approved courses and examinations as well as other workshops, seminars and training. Carpet cleaners who have completed Jena Dyco training courses, are well equipped with the skills and knowledge needed in any on the job situation. Keeping training and equipment up to date, involves significant costs. These costs, along with having the appropriate level of insurance and staff, to deliver professional carpet steam cleaning are factored into the pricing. This is something most people are not aware of when they ask “how much to clean….”. A business charging less than it costs to hire a machine from the supermarket, must be cutting corners somewhere! I would venture a guess and say that they are using low cost cleaning products and quite possibly do not have any training and very little experience. They may not even have public liability insurance! This is frightening considering the cost of replacing carpet or furniture should anything go wrong or even worse if you or a family member are injured as a result of unsafe work practices. Customers always ask me why there is such a big price difference when it comes to carpet cleaning. I tell them that it really depends on the level of service and results you are expecting. In my opinion, someone who charges very low prices, is usually inexperienced and may not have the equipment and knowledge to remove dirt and stains. They may even damage the carpets through over wetting or bleaching. The use of low quality (and low cost) cleaning products or heavily diluting them are ways to cut costs. This means the cleaning results will also be low quality. Then there are the carpet steam cleaners we all love to hate. The ones who quote low to get their foot in the door and then bump up the price once they are there. Usually, because the rooms are “bigger than standard” or the carpet is “dirtier than standard”. Sometimes without even telling you until after the job! It is important to weigh up the pros and cons when choosing between low cost Vs professional carpet cleaning. Professional carpet steam cleaners will have insurance, completed training courses and have certification. They have the experience and knowledge to deal with all types of carpet and stains. Accordingly, they will have well maintained equipment and high quality, environmentally friendly cleaning products. A professional carpet cleaner, will walk through the job with you before they start and point out any issues they feel may affect the result. 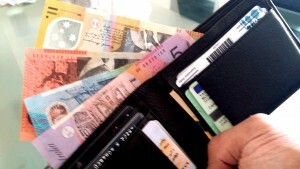 Always, they will give you a clear indication of the best expected outcome and the total price BEFORE they start work. If there are any issues after cleaning, they will return at no extra charge to re clean a spot or whatever the issue may be. Finally, they will confidently offer a satisfaction guarantee with no fine print! Surprisingly, they may even follow up with you a few days after the job to make sure you are happy. Hiring the right carpet steam cleaner to get your bond back. These stains were all left behind by a low budget cleaner and the customer was facing bond forfeiture. If you are moving out of a property and you want your bond back then it is worth hiring a carpet steam cleaner who guarantees their work. They may charge a little more but they offer peace of mind and it means less hassles with the Property Manager or Landlord. Security deposits are usually in the $1000’s, so spending a little extra to make sure you get all your bond back is well worth it. We recently helped one of our customers in Bentleigh. She was fighting to get her bond returned after she vacated a property. The Property Manager was dissatisfied with the carpet cleaning, even though we had explained that the house cleaner had been through after us and left some dust behind – nothing a good vacuum wouldn’t fix. We offered to go back and re clean the carpets just to help out our client. Instead the Property Manager tried to take the customer’s entire bond! This matter went to a Tribunal hearing. 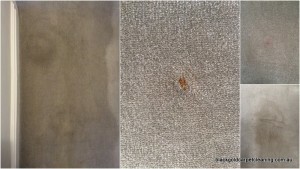 Luckily this particular customer, had used us to clean her carpet every 3-6 months of her tenancy. Therefore, she provided the judge with the receipts of carpet cleaning as well as a report from us. Needless to say, the judge ordered the Property Manager to pay her bond back in full!! We are very good at removing stains. However once another carpet steam cleaner applies chemicals to a stain, it alters the Ph level. 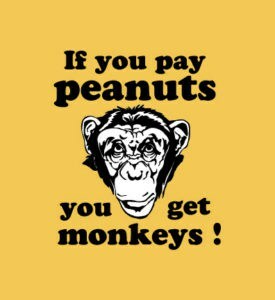 This makes our job more difficult and sometimes even impossible! I hate seeing carpet ruined by inexperience. Especially when I know I would have removed the stain if I was the first one called. Professional carpet cleaning is a science and requires skill. It does come at a cost, but no where near as much as the cost of carpet replacement! We are always happy to offer help and advice so please contact us next time you need help. We can offer advice on stain removal, end of lease carpet or general carpet cleaning. Please call us on 0403 254 080 for a quote or advice!